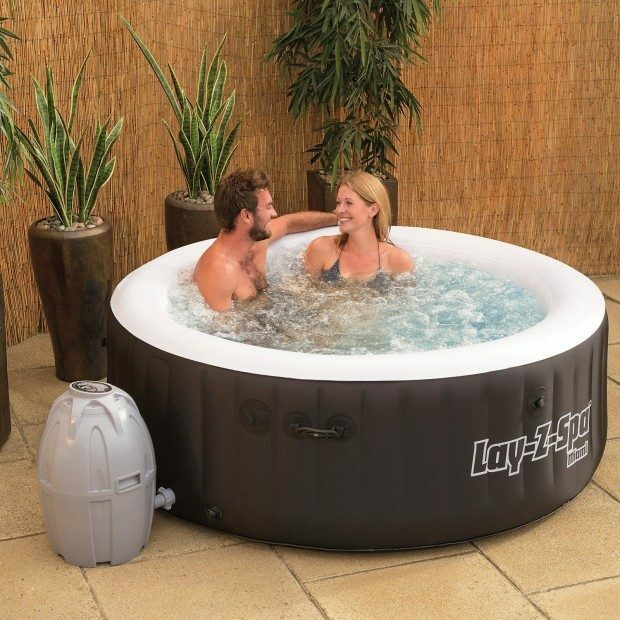 Bestway Lay-Z-Spa Miami Inflatable Hot Tub Just $257.09! Down From $500! You are here: Home / Great Deals / Amazon Deals / Bestway Lay-Z-Spa Miami Inflatable Hot Tub Just $257.09! Down From $500! Hubby found this great deal on a spa at Walmart the other day and now Amazon has one, too! You can get this Bestway Lay-Z-Spa Miami Inflatable Hot Tub Just $257.09! Down From $500! This is a great deal!